COMIC CON 2016- JUSTICE LEAGUE TRAILER! “Justice League” began principal photography in April of this year and we now have a trailer, there are dozens of question that could be asked and I could care less about the answers. This trailer explodes the universe that was teased in “Dawn Of Justice” and definitely takes a tone shift that was set up with Batman v Superman, but I do not think this is aftermath of that movie’s mixed reviews. “Dawn Of Justice” and “Justice League” are different worlds to a bigger universe, just like the individual MARVEL movie had a different view compared to the assembled Avengers movies. “Justice League” has more pressure on it compared to the first Avengers movie, most people will want to pull this movie in multiple direction to fit into the current mold and that would be a mistake. DC and Warner Bros. need to stay focused on their universe, so the fans can have a unique world that they deserve. COMIC CON 2016- A NEW LOOK AT WONDER WOMAN.. The Comic Con party rages in San Diego and DC has brought a legendary Amazonian princess to the event, as new trailer and poster for the upcoming movie “Wonder Woman” was released onto the world. After our first exposure to Diana Prince in “Dawn Of Justice”, most comic book fans were starting to feel that the stars might have finally aligned and this trailer proves it. The Wonder Woman film has been in development and pre-production hell for years, but the problem could have been a simple missing piece to the puzzle and that piece seems to be Gal Gadot. Gadot entered the DC universe as somewhat of an unknown and quickly made an impact, as shown through her stellar reviews in the lukewarm “Batman v Superman” critical reactions. This trailer has shown that “Wonder Woman” belongs in the major leagues of super hero blockbusters. Gotham Has A New Commissioner..
J.K. Simmons has hung up his Daily Bugle Press Credentials and picked up the Commissioner’s badge of the Gotham Police Department, as Simmons has signed on to play Commissioner Gorden in the upcoming Justice League films. As we are a few weeks away from the “Dawn Of Justice”, there is little to no chance of seeing Simmons step into commissioner’s office and Simmons will probably sit out the battle of the world’s finest. This down time will be short lived, as part 1 of the Justice League films will begin production next month and will hit theaters Nov.17,2017. Now, that we know Simmons’ position in the “Justice League” world, where does this leave Simmons and Gorden in the growing DC universe? Will we see Simmons in the upcoming solo Affleck/Batman movies? I will begin this piece by admitting that I am an ardent and die-hard Superman fan. I am not a fan of what he can do but what he is and what he stands for. I believe that his greatest power radiates not from our yellow sun but from the love and morals that two mere mortals bestowed on him. 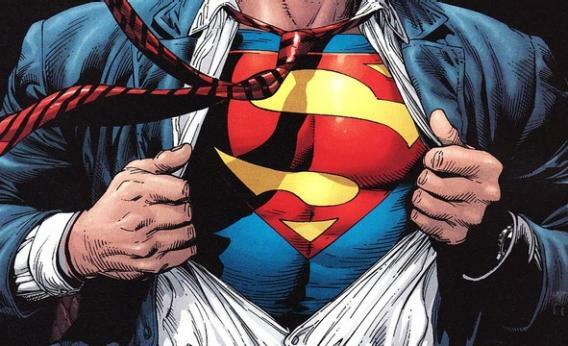 Superman is super not because of the ability to protect and to do the amazing things he does. Superman is super because of the way he inspires, the way he makes us believe that ANYONE can be super if they make the choice to do so. In this amazing technological world that we live in, why can no one in Hollywood seem to get his character right and why do they almost feel threatened by a hero of his caliber? From my earliest memories and from pictures of me as a baby, I have been surrounded by Superman. Much like Martha Kent, my mother sewed an ‘S’ onto a red towel and attached it to my long john Superman Underoos and created my costume. I was eight years old an barely a year had passed since my father died. We struggled but we found light in the smallest of places. We lived on a friend’s property in a 65 foot mobile home that we had just upgraded from the 35 footer we were living in. I remember the day she pinned that towel to my shirt and I stepped off the back steps for the first time. The way the sun felt that morning, the way the smell of the desert meeting the mountains filled my nose. The sound of John Williams’ main theme from Superman echoed in the clearing of trees as I belted it out while I ran around with my arms outstretched. Superman was the light I needed to get past losing my hero. In that sense, I had been saved by the Man of Steel. Fast forward to 2005. I sat with barely contained enthusiasm, in a film that I cannot recall, waiting for the teaser trailer for the upcoming Superman Returns. In that darkened theater, my skin came alive as I heard Marlon Brando’s Jor-El talking over John Willams’ “The Planet Krypton” theme. A young Clark leaps into the sky over the fields of Smallville, Kansas, a glimpse of The Daily Planet, people looking to the sky, Superman emerges from the clouds and basks in the sun, and Jor-El saying; “For this reason alone, their capacity for good, I have sent them you. My only son.” Superman opens his eyes and speeds back to earth. I am not ashamed to admit that tears filled my eyes as thunderous applause and cheers from the audience filled the blackness. Fast forward again to June of 2006. The credits were rolling on Superman Returns and I sat in absolute disappointment at what Warner Bros. had allowed to happen to MY hero. I was outraged! So let me get this straight…Superman had become a stalker, a jealous ex-boyfriend, and a secret father!? That ridiculous costume with the leather cape and tiny ‘S’ and the fact that we were getting Lex Luthor…AGAIN was enough to drive me around the bend! Hell, the biggest hero in that entire film was James Marsden’s ‘Richard White’ who, even with seeing his love (Lois Lane) still smitten with Superman, rushed off in his plane to help him at her behest. EVERYTHING felt wrong! Superman forgot how to save a falling plane without tearing it apart and the scene where he rushes into the street and pulls his shirt open to reveal the iconic shield was completely muted by the bastardization of the original score by John Ottman. Smallville was able to get this right so I cannot fathom why the film could not. Brandon Routh was made to regurgitate lines which Christopher Reeve had used to bring humanity to Superman and, much like the movie, failed miserably at connecting with the audience. To paraphrase Alex Ross and Mark Waid’s “Kingdom Come”, the Super has become more important than the man in Hollywood. In Superman ’78, we see the guiding hand of Jonathan and Martha Kent. When Clark shows off by beating Brad’s convertible home on foot, Jonathan ribs him for showing off and letting Brad get his goat. Clark asks if it’s showing off to use your natural talents to which Jonathan tells him that it is not but he knows that he was put here for more than scoring touchdowns. Now granted, we don’t get to see the Kents mold Kal-El into Superman by Jonathan teaching him ways to change his voice and demeanor and we don’t get Martha stitching his costume from the blankets he arrived in. What we do get, which Hollywood seems almost afraid to do, is two parents who love him and guide him morally on his journey to find his greater purpose. If I am to be fair, Zack Snyder’s Man of Steel came the closest. Jonathan and Clark have a wonderful exchange after Clark is bullied. Martha and Clark have a beautiful moment when Clark’s senses are overwhelmed and she lovingly helps him to focus. Snyder crafts these things and, in the quest to keep more realism, he almost chastises Clark for saving the school bus after it plunged into the river. Jonathan sacrifices himself rather than let Clark do what he can do. While I would say this has some nobility to it, as we learn later in the film, it seems a good chunk of Smallville’s population know who Clark is anyways which would negate Jonathan’s fear completely. I would be remiss if I didn’t mention my favorite scene in the film which happens to be Clark’s finest moment. When faced with the decision to turn himself over to Zod, Clark goes to a higher power for answers. He tells the clergyman at the local church that he is the man that is being sought and he doesn’t know what to do. The clergyman tells him that sometimes it just takes faith. Again, in Alex Ross’ Justice comic, there is an exchange of respect between Superman and Batman outside of the Fortress of Solitude. Superman acknowledges why Batman is so successful because Batman makes criminals afraid of the dark. Batman says that he know understands why Superman chose to do press appearances and interviews because he casts a light so bright that there are no shadows for the villains to hide in. Why then, do we have a Man of Steel that was shot so overtly darkened. Why does Superman need to be grittier? He is a beacon of light and a symbol of hope! It’s almost as if film executives are afraid to give us a moralistic Superman or one that might seem preachy. I swear I have seen that work on film somewhere before though and it seemed to work pretty damn well. What movie was that again…? Oh yeah!! EVERY movie that has featured Captain America! Marvel has done so well with giving us a hero that holds his morals above all else. Hell, it was a running gag in Avenger 2: Age of Ultron between Stark and Cap when Stark uses some choice words and Cap says “Language!” Why is Warner so afraid of that guy!? He’s referred to in the comics as “The Big Blue Boy Scout”, so why not let him be that!? In Superman ’78, in his first outing as Superman, saves Lois Lane from death and catches a falling helicopter with his free hand. Upon returning them to the top of The Daily Planet, he quickly says “Gentlemen. This man needs a doctor!” and then says to Lois, “I hope this hasn’t put you off flight miss. Statistically speaking, it’s still the safest way to travel.” In that sequence he delivers hope, takes control of a chaotic situation and is reassuring without being preachy or condescending. This sequence is followed by him stopping a burglary and a heist, saving Air Force 1, and rescuing a cat from a tree! Where the hell was that stuff in these new films!? I believe Henry Cavill is the best man to don the ‘S’ since Christopher Reeve and I hope that Batman v. Superman: Dawn of Justice will restore my faith but from what I have seen from trailers, that seems bleak. As this is titled “Part 1”, I will be tackling my issues with the need to pit Superman and Batman against each other, the choice to make his costume more Kryptonian, as well as get more into this fear of having a hero that is too moralistic for viewers. I will also, in the near future, be writing a piece on the mistreatment of Batman in Hollywood as well. I will save those both until after we get the theatrical release of Batman v. Superman. Thanks for letting this fanboy rant for a while and feel free to hit me with comments or questions at Nowhere_California@yahoo.com. The Wait Is Over.. Finally, A First Look At Wonder Woman..
As you can tell from the footage, we are going to get an origin story and the evolution of Diana Prince into Wonder Woman. It’s insane to think about how long this franchise has laid dormant and the multiple “failed” attempts at bringing this icon to the silver screen, but the emergence of Gal Gadot could be that long missing piece to the puzzle.